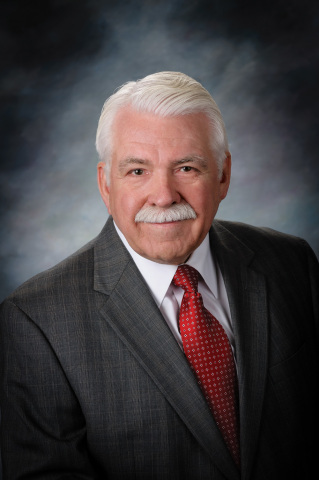 James L. Basey President And CEO Centennial Bank (Photo: Business Wire). CIC Bancshares, Inc., parent company of Centennial Bank, headquartered in Denver, Colorado, announced today that it has entered into a definitive merger agreement with Heartland Financial USA, Inc.
CIC Bancshares, Inc., parent company of Centennial Bank, headquartered in Denver, Colorado, announced today that it has entered into a definitive merger agreement with Heartland Financial USA, Inc. According to terms of the Agreement, Heartland will acquire CIC in a transaction valued at approximately $83.5 million, of which approximately 20 percent would be payable in cash and approximately 80 percent would be payable by issuance of Heartland common stock. Lynn B. Fuller Chairman, CEO Heartland Financial (Photo: Business Wire). With assets of approximately $722 million, loans of $551 million and deposits of $638 million as of June 30, 2015, Centennial Bank is a 20-year-old commercial bank acquired five years ago by CIC Bancshares. It is recognized as one of the fastest growing banks in the state of Colorado. Centennial operates 14 Colorado locations including four offices in the Denver-Aurora-Lakewood MSA. On a pro forma basis, the combined institution will have 17 banking offices in Colorado. Heartland Financial USA, Inc. is a community bank holding company headquartered in Dubuque, Iowa, with assets of $6.7 billion. The company operates nine state chartered commercial banks serving the Midwestern states of Iowa, Illinois, Wisconsin, Minnesota, Kansas and Missouri, as well as the Western states of New Mexico, Arizona, Colorado and Montana. Heartland is currently in the process of acquiring Premier Valley Bank of Fresno, California, which will become the company's tenth charter. Kevin W. Ahern, Chairman and CEO of CIC Bancshares, Inc., will lead the combined institution. "Our board views this merger as an excellent move for the customers and stockholders of Centennial Bank," said Ahern. "As we considered our strategic direction, including the importance of identifying a potential quality merger partner, Heartland stood out as an excellent fit. We are pleased to partner with a strong company committed to face-to-face customer service and locally based community banking that will continue our tradition of strong community support. James L. Basey, Centennial Bank's President and CEO will also continue in his current role in the combined institution. "Since the creation of Centennial Bank in 2010, during the Great Recession, we have focused on generating strong organic growth," said Basey. "Joining with Heartland is an exceptional opportunity to further leverage our growth. We look forward to expanded lending capacity and enhanced technology with a focus on treasury management services, and significant backroom support from Heartland." "We are excited about the prospect of expanding the Heartland footprint in Colorado, an economically strong and vibrant region," said Lynn B. Fuller, Chairman and CEO of Heartland. "Centennial Bank is an excellent fit for our community banking business model, and its locations significantly expand our presence in the Front Range of Colorado into Denver and attractive mountain communities. Centennial is a healthy bank that presents excellent opportunity to build on its solid market share with business and retail customers. "Centennial Bank brings a solid and experienced leadership team that will strengthen our position in Colorado. Kevin Ahern and James Basey are successful long-time bankers in the Colorado banking market and we are excited both will be joining our Colorado bank and the Heartland team, Fuller concluded. "